DIY Board and Batten is a really simple way to add a nice style element to your space and if you do it the way that I am going to lay out for you below, it doesn’t have to be hard on your wallet! Check out the results I got in my home’s entryway in this video on my YouTube channel and then follow these simple step-by-step instructions to knock it out in your house. The easiest and most inexpensive way to get great looking results for your DIY Board and Batten is to use MDF (Medium Density Fiberboard). MDF takes paint well, is cheap to buy, and easy to work with. To get started, you’ll need to measure out the room you plan to install the MDF in, determine what thickness of MDF you’d like to purchase, and determine how wide you’d like to make your batten pieces. In my entryway I went with 6″ width for the top and bottom rails, and 4″ width for the vertical pieces. To determine what thickness of MDF to purchase, consider the size of your existing door casings if you are planning to keep them. You don’t want your board and batten to stick out farther than your casings, so I recommend getting MDF that is either the same thickness or thinner. In my case, my casings were .5″ and I was keeping them so I matched that thickness. They sell a variety of thickness MDF panels. Once you have your room measured, consider how many strips of MDF you can cut from a single 4′ x 8′ sheet based on the widths you plan to cut your strips, and determine how many sheets you’ll need to cover your space. You could also buy pre-cut and primed pieces of MDF from the store if you wanted to but it adds a bit of cost to do it that way. I recommend cutting the strips (if not buying pre-cut) with a circular saw slightly larger than their final width and then using a tablesaw to rip them down to their final width. Rough cutting the sheets into pieces is a lot easier than trying to be exact with a circular saw, especially if you don’t own some kind of track saw or panel saw which I’m guessing you don’t. You’ll need to spend some time ripping all the strips obviously, but once you have all the strips cut, it’s a relatively easy and smooth process from here on out. In my case I had old plaster walls which I was covering with the board and batten. The walls weren’t as smooth as I wanted and I didn’t want the recessed wall portion to look different than the new smooth MDF surface once painted so I hit the walls with a skim coat of joint compound to smooth them out in the areas I was placing the MDF. Once dry, I lightly sanded the joint compound to a smooth surface. If covering newer drywall, this may not be necessary for you. I recommend priming or undercoating the walls at this stage as well since it’ll be easier than working around the MDF pieces later. First step in laying out your strip is determining the height you want your board and batten to be on the wall. This is totally up to you. You can make it hip high, chest high, whatever you want just pick a height that works for your space and go with it. In my case I chose 42″ as the top of the board and batten because it aligned with the height of some built ins we had. With your height chosen, I recommend hanging the top pieces at that height first. Use a 4 foot level or whatever level you have to install the pieces around the room so you know they’re all at the same height. You could use a laser level here as well. If the pieces you have aren’t long enough to cover the wall in one piece, don’t worry. Cut the pieces at a 45 degree angle and overlap them to conceal the seams as best you can. To attach the boards to the wall, I recommend using a finish nailer and some 1.5″ finish nails, but you could also use finish nails and a hammer if that’s all you’ve got. With the tops installed, follow the same process for the bottom pieces. I recommend checking the level as you work your way around just to be sure. If your floor slopes a bit, you can kind of play it by eye and see what you think looks best. Here’s the trickiest part, figuring out the spacing so you have even sized panels on each wall. If you watch THIS VIDEO, I make an animated example walking you through how to make sure you have even sized spacing for your panels for each wall, but I’ll also lay it out here. Determine how many panels you’d like on that wall, (i.e. Do you want more, narrower panels, or less, larger panels) Say for this example you want 4 panels. Lay out your vertical pieces every 19″ for even sized spaces. The spacing will vary slightly from wall-to-wall based on how your room is laid out but try and keep the spacing within a few inches so it’s not noticeable when looking at the room as a whole. My spacing varied from about 16.75″ to 19″. Attach the pieces with the finish nailer or finish nails and work your way around the room in the same process. Once all your board and batten panels are up, all that’s left to do is to fill the nail holes with some spackle or spot putty, and caulk around the seams so you have a nice clean look all the wall around. With that done, you can prime the MDF pieces and paint your board and batten whatever color you choose. I recommend going with a two-tone paint scheme with your board and batten one color, and the rest of the wall a different color, but it’s totally up to you! THAT’S IT! DIY board and batten is a really simple and cheap way to get a really elegant looking result. I hope you guys enjoyed this step-by-step walkthrough on how to do it and please check out the corresponding video on my YouTube channel to get an idea of the results that are possible! 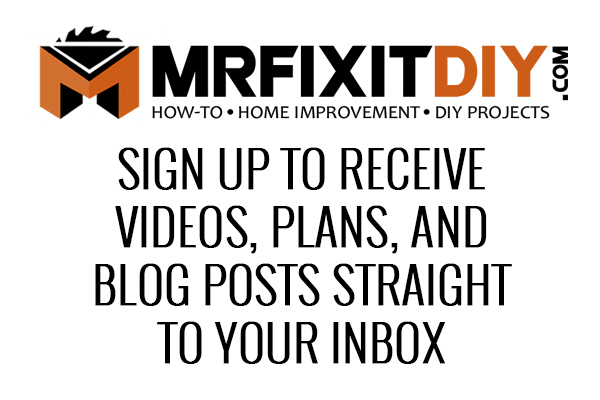 If you liked this content, check out some of my other DIY Home Improvement projects. Previous articleHow Your Deadbolt Could Kill You!